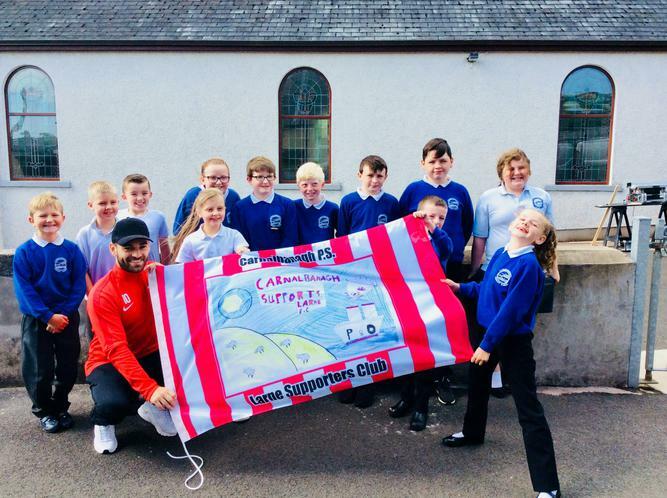 A few months ago, our students in the Senior Classroom entered a competition to design a flag that would fly at Larne FC. Each student designed a specific piece of the flag, then all the ideas were finally put together. 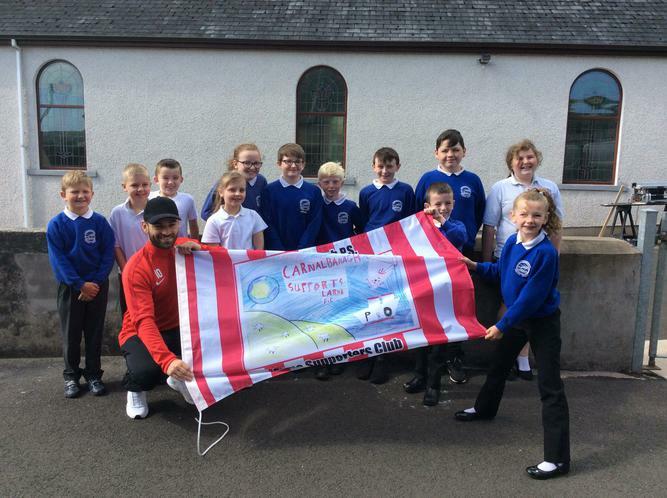 Today, we were presented with the flag and look forward to seeing it flying at Larne FC throughout the coming season.